Esri Chief Medical Officer Este Geraghty, MD, MS, MPH, GISP, will give the Ph.D. in Ph.D. in Population, Health and Place Colloquium address on Wednesday, February 6, 2019, 3:30 – 4:30 pm, in the Hedco Neurosciences Building Auditorium (HNB 100). In her address “Gaps or Overlaps? Applying Location Intelligence for Better Decisions,” Dr. Geraghty will discuss how Geographic information system (GIS) technology can help health organizations make sense of people, places, and their complex interactions. By leveraging the power of location intelligence, health and well-being on a personal and a population level, decision makers can understand where to apply resources to fill gaps or even to avoid extraneous resource allocation/saturation (overlaps). Her presentation will explore how geography intersects and informs health and creates insights for better decisions. Modern day challenges, such as combatting the opioid epidemic, addressing homelessness and preparing for disasters will be cited as examples. Technology and policy considerations around navigating HIPAA in a geospatial world will also be discussed. In her role as Esri's chief medical officer and health solutions director, Dr. Geraghty explores new ways geography can transform community health and modernize social services. 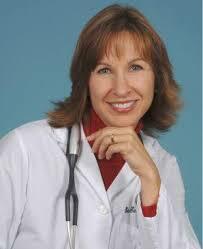 She received her MD, MS in Medical informatics, and MPH degrees from the University of California, Davis. For more information and to RSVP, please contact Stephanie Tran at the USC Spatial Sciences Institute.